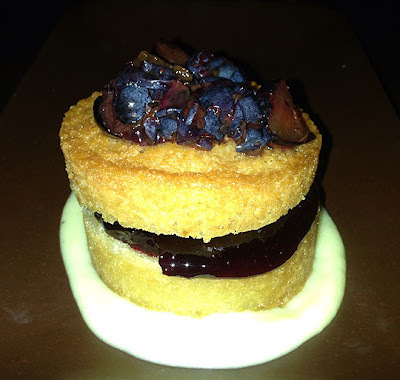 Living in the North West Valley I don't get to Scottsdale very much; and when I do I have a list of favorite restaurants I like to rotate between. That being said when I was offered a review opportunity for the Fox Restaurant Concept Olive & Ivy I decided it was time to change things up and give this place a try. Over the years I have been to a few of the FRC restaurants and have never been disappointed. So I had pretty high hopes for Olive & Ivy which were quickly met upon walking through the door. 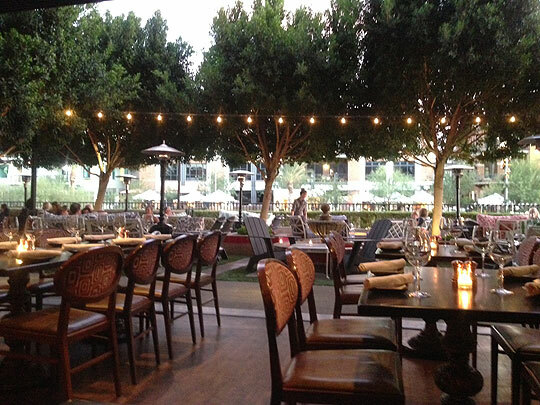 Located at the Scottsdale Waterfront the ambiance of the restaurant was very friendly with large windows opening onto one of the prettiest patios I've seen. The restaurant definitely has an air of elegance about it. 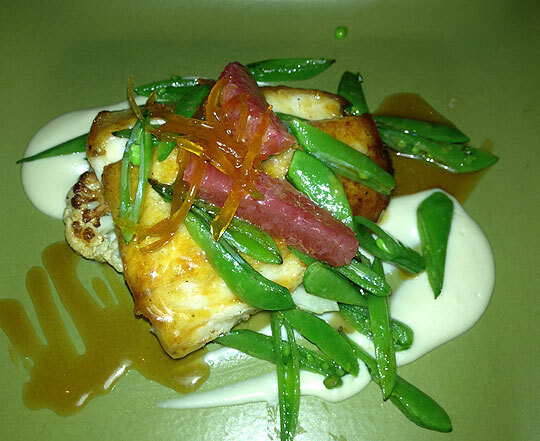 Having never been to Olive & Ivy I wanted to take some time to peruse the menu but I was also starving when we arrived. The waiter suggested sharing the hummus; which was a great idea. 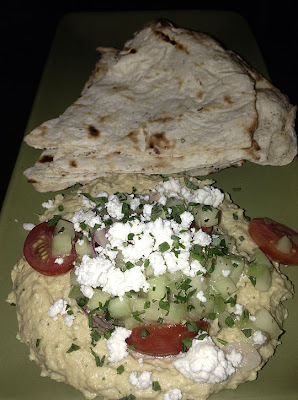 The hummus itself was delicious but the lightly dressed mixture of tomatoes, feta and cucumbers made this extra special. After much deliberation I was able to talk my husband into sharing a pasta course with me before our main course. 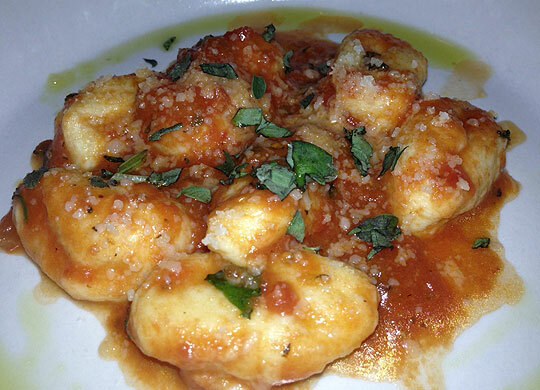 I am a huge gnocchi fan and when I found out that all the pasta is made in house I knew I had to try them. They were perfect...light and pillowy in a nice tomato fennel sauce. Next time I might need to get my own serving. I went with the sea bass as my entree. Placed atop a caramelized cauliflower puree and garnished with some preserved grapefruit it was a treat for my taste buds. 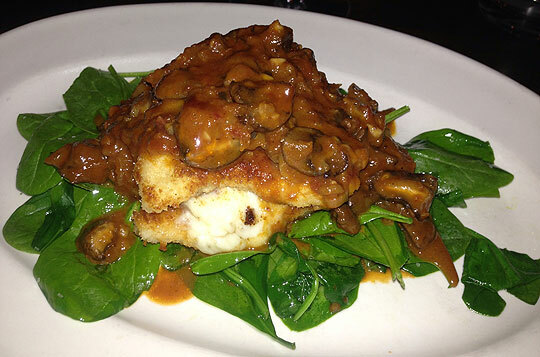 My husband had the chicken scallopine. Thicker pieces of chicken layered with spinach, mozzarella and proscuitto this was not your typical scallopine but delicious all the same. Even though we were both pretty full I was not passing on dessert. Especially since I heard that they had homemade gelato. Our waiter suggested getting the almond cake with a side of gelato so that's what we did. The cake itself was really good and paired well with the gelato...but I will admit I wasn't very fond of the lemon sauce that accompanied it. We left the restaurant satisfied and happy. We now have a new place to add to our Scottsdale restaurant rotation.